Suitable for: Gas and Open fire. 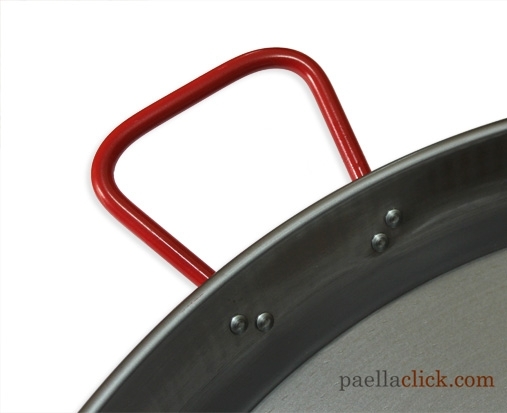 The traditional, red handled "La Ideal" Paella Pans, manufactured for decades, has become a classic kitchenware item in Spain. 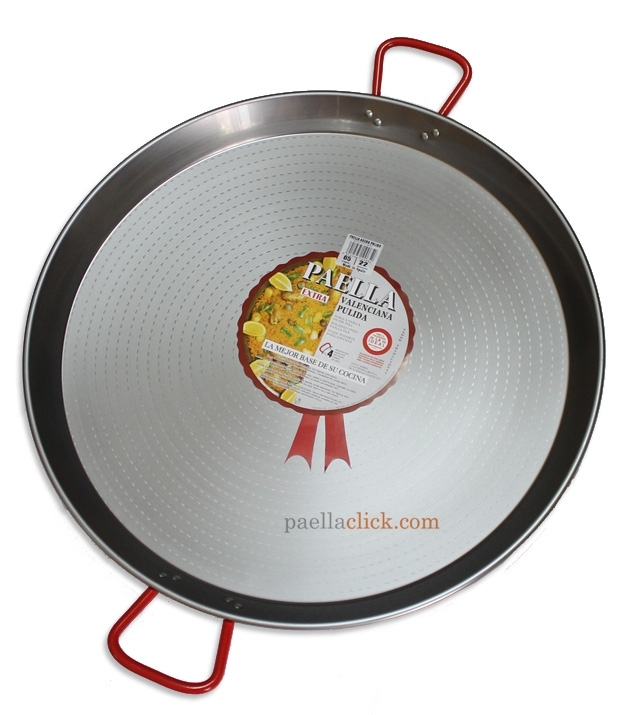 These paella pans are thicker than any other manufactured paella pan to avoid warping, making them very endurable. 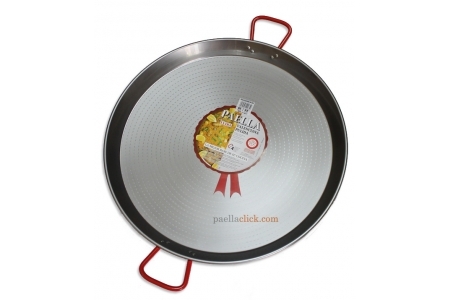 65 cm paella pans have 4 rivets for each handle. Dry the pan with a soft cloth. Never allow the pan to air dry. For storage of your pan, after cleaning, rub both the inside and outside of the pan with cooking oil and wrap in paper and store in a plastic bag. Store your pan in a dry place.